So, you’ve decided to use permeable pavers for your next project. With the many environmental benefits of permeable pavers, more and more people are choosing to use them for a wide variety of projects. And the popularity of this material means that consumers have more options than ever. There are countless options available for everything from color, shape and style to durability and maintenance. The choices can be a bit overwhelming. 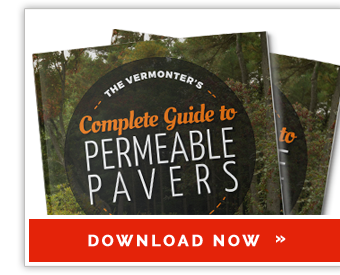 Below, we’ve highlighted 4 simple steps for selecting the ideal permeable pavers for your next project. Before you get to the steps, give yourself a refresher on permeable pavers: the what, the why, and the how. Before you make any material selections, be sure that you understand the full scope of your project. 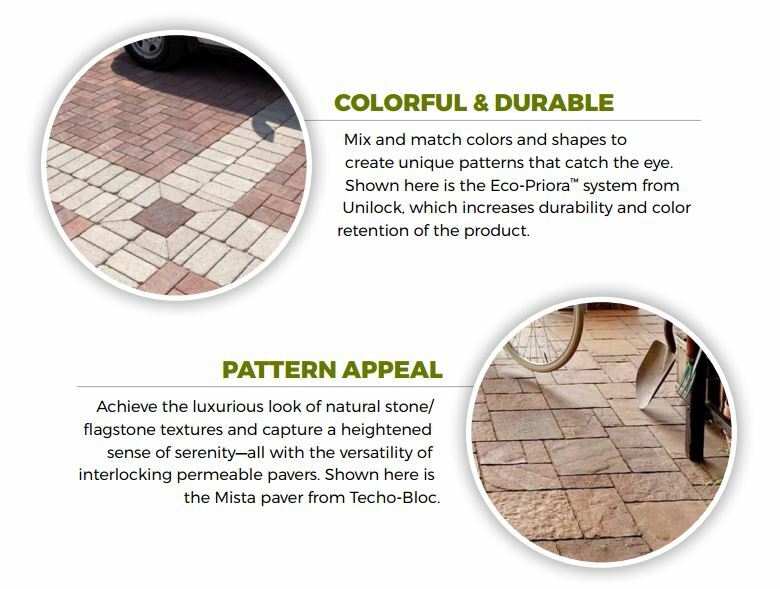 Defining your application will help you figure out what kind of pavers will best suit your needs. For example, your material choices for a driveway will be much different from your material choice for a low-traffic walkway. You should also keep in mind any local regulations that my dictate your paving requirements. For example, here in Vermont, the Shoreland Protection Act specifies a maximum of 20% impervious surface for lakefront properties, with the rest of the property being a permeable substance. Impervious surfaces include roofs, driveways, decks, etc. Requirements such as these may affect your project, so be sure to plan carefully. Budget is another factor that will help you to narrow down your possible materials. Many manufacturers of permeable pavers offer products in several different price ranges to fit the needs of a variety of different projects. Landscape materials provide limitless options when it comes to color, shape and style—and permeable pavers are no exception. 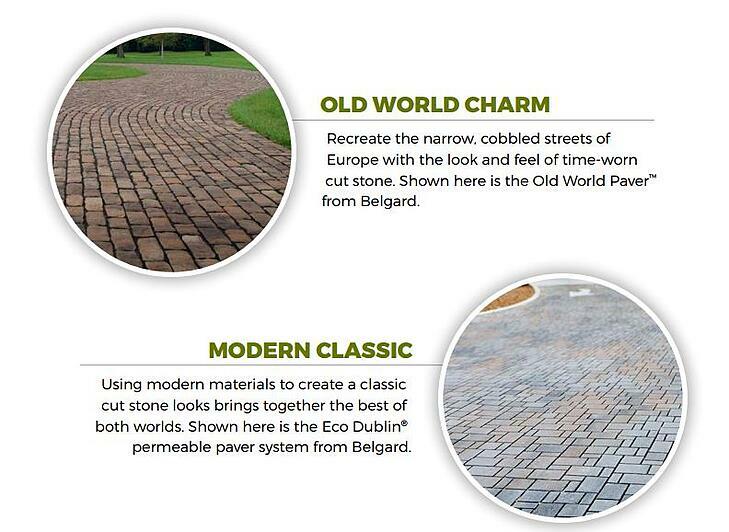 Permeable pavers provide just as many design options as traditional pavers. They offer the same visual benefits of other types of hardscape materials while also being better for the environment. 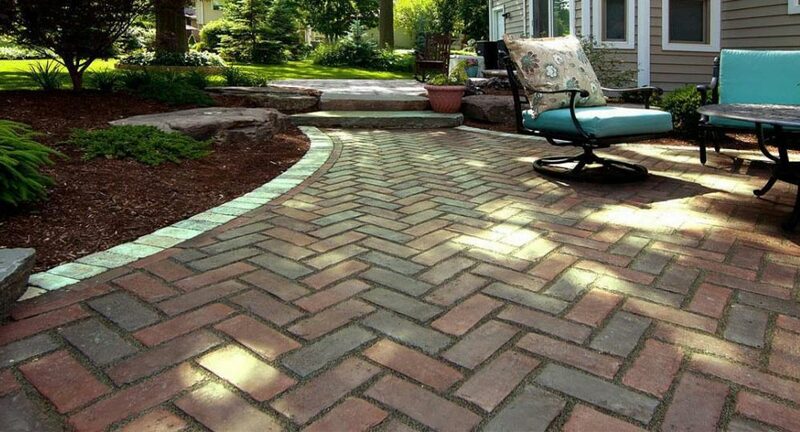 Many products are actually not advertised as “permeable pavers.” They are traditional pavers that can be installed in a permeable application. This means that the options are even more diverse than you might think! Once you have finalized your project plan, your budget, and your style, it’s time to look for inspiration to help you select the ideal permeable pavers. Having a few ideas of exactly what you’re looking for will help everyone involved in the project understand how they can better help you achieve the look you and functionality you want.